Esselstyn, C. B. (2007). Prevent and Reverse Heart Disease: The Revolutionary, Scientifically Proven, Nutrition-Based Cure. New York: Avery. Dr Caldwell Esselstyn Jr. MD, author of Prevent and Reverse Heart Disease, carried out the longest and one of the most successful trials of curing heart disease with diet. He describes heart disease as a toothless paper tiger that need never exist. Have a look at a free Excerpt from Chapter One of Prevent and Reverse Heart Disease. This is his website: Dr Esselstyn’s Prevent & Reverse Heart Disease Program – click on the Video tab to see a links to more videos that present his work, some of which are listed below. Caldwell B. Esselstyn, Jr. MD, Treating the Cause to Prevent and Reverse Heart Disease – (47 min. 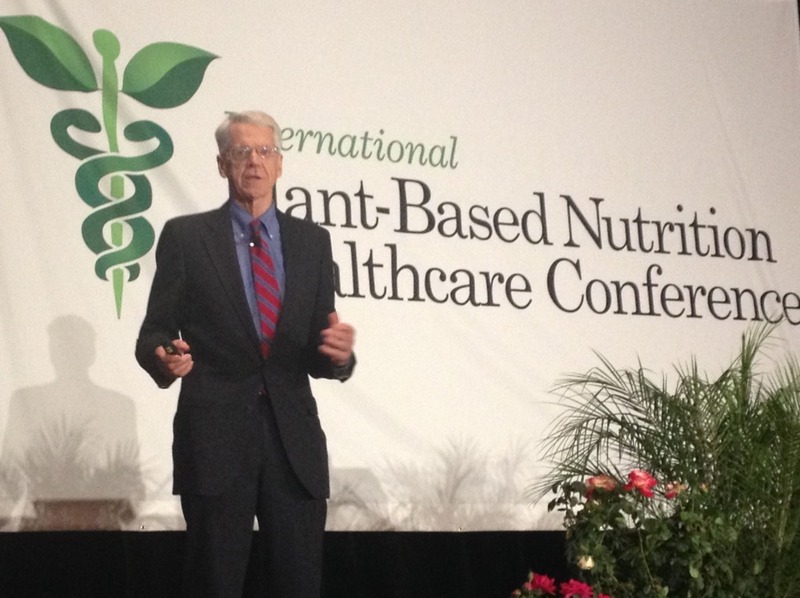 video) This presentation by Dr Esselstyn provides an in-depth understanding of the science behind preventing and reversing heart disease with a low-fat whole food plant-based diet. TEDxCambridge – Caldwell Esselstyn on making heart attacks history – (14 min. video) This is a shorter version of Esselstyn’s presentation, explaining the diet and heart disease link in a 14 minute TEDx talk. Dr Esselstyn at Medina Ohio – (1 hour 55 min. video) Dr Caldwell Esselstyn talks for more than an hour about how to prevent and reverse heart disease. In the last part of the presentation his wife Ann Esselstyn gives a quick lesson on how to prepare plant perfect meals. The Last Heart Attack – A Groundbreaking CNN Report by Dr. Sanjay Gupta (13 min video) NB Link no longer works to original full length CNN documentary so it has been removed. Eliminating the #1 Cause of Death – discusses William Roberts, MD’s proposal that cholesterol is the only risk factor for heart (artery) disease. The Power of NO – Antioxidants protect NO synthase, the enzyme that produces the artery-relaxing signal, nitric oxide. This may explain why those who eat especially antioxidant-rich plant foods have improved flow-mediated dilation of the brachial arteries. 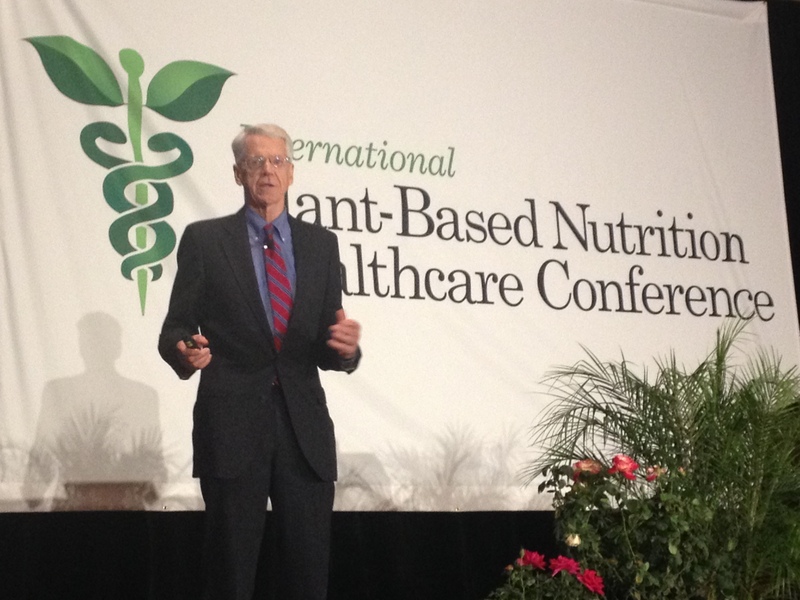 Dr Esselstyn’s FAQ page – answers all those questions about nuts, seeds, leafy greens and warfarin, etc. Esselstyn C. B., Gendy, G., Doyle, J., Golubic, M., & Roizen, M. F.
(2014). A way to reverse CAD? Journal of Family Practice, 63(7), 356-364b. Esselstyn C. B., & Golubic, M. (2014). The nutritional reversal of cardiovascular disease: Fact or fiction? Three case reports. Experimental & Clinical Cardiology, 20(7), 1901-1908. Esselstyn, C. B. (2010). Is the present therapy for coronary artery disease the radical mastectomy of the twenty-first century? American Journal of Cardiology, 106(6), 902-904. Esselstyn, C. B. (1999). Updating a 12-year experience with arrest and reversal therapy for coronary heart disease (an overdue requiem for palliative cardiology). American Journal of Cardiology, 84(3), 339-341, A338. Ornish, D., Brown, S. E., Scherwitz, L. W., . . . Gould, K. L. (1990). Can lifestyle changes reverse coronary heart disease? The Lifestyle Heart Trial. Lancet, 336(8708), 129-133. Ornish, D., Scherwitz, L. W., Billings, J. H., . . . Brand, R. J. (1998). Intensive lifestyle changes for reversal of coronary heart disease. JAMA, 280(23), 2001-2007. Tuso, P. J., Stoll, S. R., & Li, W. W. (2014). A Plant-Based Diet, Atherogenesis, and Coronary Artery Disease Prevention. The Permanente Journal, 19(1). Sherry Shrallow Recounts How She Beat Heart Disease With A Plant-based Diet – 2-part video interview with Sherry who had a heart attack at age 56. Part 1 (13 mins) describes her ordeal and how Dr Esselstyn’s book turned her life around. Part 2 (22 mins) discusses what we can do to make ourselves heart attack proof. Getting a Second Lease on Life – and Using It in a Big Way with Paul Chatlin – Howard Jacobson podcast interview. Paul was scheduled for bypass surgery when his cardiologist mentioned that nutrition might be an option – next he’s on the phone to Dr Esselstyn.